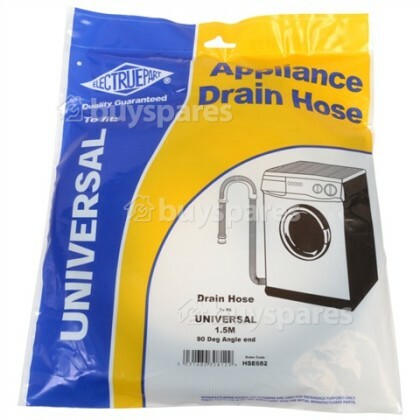 If your drain hose has split or is no longer removing water from your appliance efficiently, use this universal Electruepart Drain Hose to restore your appliance to working order. What does a drain hose do? 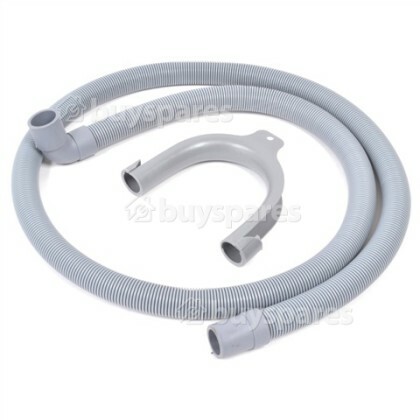 The drain hose is used for removing the used water from your appliance. You will commonly find that drain hoses are fitted to washing machines and dishwashers. The drain hose is fitted to the stand pipe or the u bend under the sink. Is the drain hose causing the problem? When should you replace a drain hose? It is possible that over time the drain hose can become damaged and for it to develop a tear or blockage, which can ultimately cause the appliance to leak or function incorrectly. Problems can also develop if the drain hose is not correctly installed or connected to the drainage system. 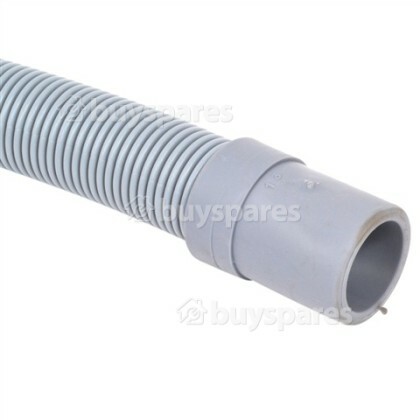 You may also need to replace the drain hose if the original is not long enough to reach the drainage system in your home; it is possible to purchase extra-long drain hoses to cope with such situations. An incorrectly plumbed in washing machine can cause an array of issues. In particular if your washing machine is connected directly to the u bend under the sink, you need to ensure that the dirty water doesn't run back into the washing machine as this can cause odours to form. 1. Locate the drain hose connection on the washing machine/dishwasher and the drainage system it will connect to. Remember to disconnect from the power and shut off the water supply. 2. You will need to move the washing machine out from the wall to gain access to the back of the machine. 3. The next step is to remove the hose clamp in order to remove the hose. This may require you to loosen it off with a screwdriver or it may be done with pliers depending on the type of clamp used on your particular machine. 4. You can now remove the drain hose and replace, check or unblock as appropriate. *If you are fitting the drain hose to a dishwasher the process will be very similar. Remember this is intended as general guidance and the process can vary depending on the model of appliance you own. 1. The drain hose needs to be properly secured so that it doesn't fall out and result in water flooding into your kitchen or utility. To avoid this you should use a drain hose crook. This will usually be supplied with the machine but replacements are available. 2. 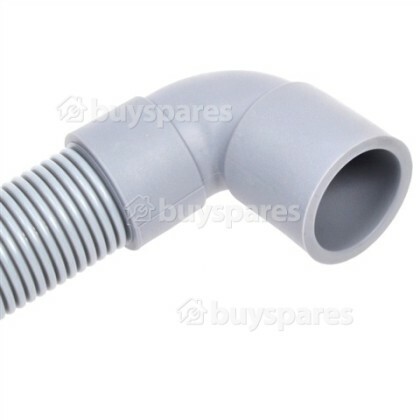 If you are connecting the drain hose to the u bend you need to ensure the drain hose rises several inches before running into the appliance as this prevents sink water entering the machine. 3. If you're connecting to a separate stand pipe ensure you don't force the drain hose down too far as this can cause siphoning. Check the remaining hoses, such as the hot and cold fill hoses, for any signs of damage or blockage. It is also the perfect time for routine appliance maintenance like preventing limescale build-up and cleaning the door seal.